All of ACCESS CULTURE's trainers are experienced in industry and familiar with their own as well as the foreign culture concerned through personal, professional experience. Co-trainers and additional, native resource staff may also be requested. Angela Kessel has been a consultant and trainer for intercultural communication and marketing since the early nineties. ACCESS CULTURE has been established by her in 1998. Her work is based on her long-time experience as a project manager for Japanese companies in both Germany and Japan. Continuous projects for Japanese enterprises and regular stays in Japan guarantee an up-to-date, practical business and coaching approach. Angela Kessel has a master’s degree in Japanese and Chinese studies and in psychology. She has lived and worked in Japan, Taiwan and the Netherlands. Apart from fluent Japanese she also speaks English, Chinese, Dutch and French. Angela is the editor of the „Business-Handbuch Südostasien“ (Business Compendium for South-East Asia) and has also published several articles on Japanese culture. She has published two Japanese language textbooks: "Klett Crashkurs Japanisch für Geschäftsleute" and "Pons Minisprachkurs Japanisch" Angela is a certified coach for The International Profiler and the Team Trust Indicator. She has also been trained as a professional business coach and a project manager (both certified by the German chamber of commerce and industry). Reiko Kobayashi was born in Tokyo and has been living in Munich for more than 10 years. 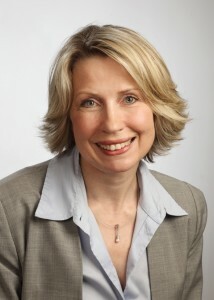 Since 1997, she has been working as a coach for international companies in Germany and Japan. The main focus of her work is on intercultural coaching for Japanese business culture and communication. In addition to her training activities, since 2000 Reiko Kobayashi has been an MBA lecturer at the economics faculty of the Catholic University Eichstätt-Ingolstadt. She also lectures on the graduate programme „intercultural communication and competence” at Munich Polytechnic. Reiko Kobayashi carries out research in the field of misconceptions within German-Japanese communication at Munich University. She has published numerous articles on intercultural relations between Japanese and Germans. She is the co-author of "Klett Crashkurs Japanisch für Geschäftsleute". Her working languages include German and Japanese. Koichi Tomizawa was born and raised in Japan. During his more than 20-year employment for the renowned Japanese Nomura bank he has gained profound business experience in both Japan and Germany. His career included the appointment to managing director of Nomura (Germany) GmbH – a position he occupied for several years. Koichi Tomizawa knows the ropes of the German-Japanese business relations from the wealth of his own practical experiences. Today he is working as an intercultural coach focussing on Japanese company culture, hierarchies, project management and styles of work. Koichi Tomizawa speaks fluent Japanese, German and English.